Sunshine Royal Palace is a residential development by HK Infraventures. It has a thoughtful design and is well equipped with all the modern day amenities as well as basic facilities. The project offers spacious and skillfully designed 2BHK and 3BHK flats. What is the project location?The project is located at Dandi, Allahabad. What size of flats are available in Sunshine Royal Palace? The apartment sizes in the project vary from 976.0 sqft to 1221.0 sqft. What is size of 2 bhk in Sunshine Royal Palace? 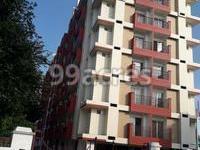 The area of 2 BHK apartments ranges from 976.0 sqft to 1098.0 sqft. What is the 3 bedroom size in Sunshine Royal Palace?  The area of 3BHK units in the project varies from 1219.0 sqft to 1221.0 sqft. How much is the actual area of Sunshine Royal Palace?The area of the project is 0.62 Acres. How much is price of 2bhk in Sunshine Royal Palace? 2 BHK units in the project are priced at Rs. 3248000 to Rs. 3513600.